Have you heard about this site? Maybe not many of you heard the name of this destination. Nobody thought that this simple local flower farms can be a nice place to have picture and become popular spot for instagramable sites in Bali. 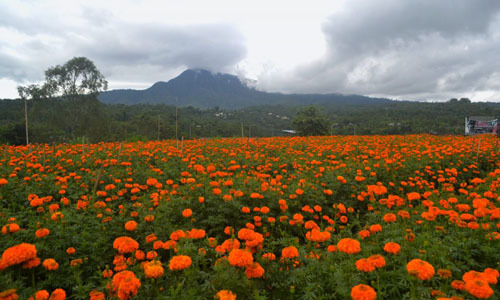 In this Marigold Flower farm the visitors can enjoy the beauty of Marigold Flowers all over the place. You may take pictures as many as you want with the background of yellow Marigold flower. It is located at Balok Village, Badung Regency, Bali. You may visit this site if you are taking our Bedugul Tour Itinerary recommendation. The next instagramable sites in Bali is Pasih Uug in Nusa Penida or more popular as Broken Beach. In this location the visitors may enjoy the sensation to see the huge cliff with big hole in the middle. It is just look like an enormous tunnel that connecting the inside and outside part of the cliff so the water may come inside the cliff area. Even though this cliff has been broken or destroyed by the natural sea waves, the hole created make it more beautiful. If you want to have nice picture in this spot, the best time to visit it is during the sunrise or the sunset time. But visiting this site during the noon time also is not a problem because it still looks wonderful. You may still get nice pictures with background of clear sea water coming through the cliff hole. This site is located at Klungkung Regency, Nusa Penida Island. Do you want have nice pictures with background of wide green hill area? 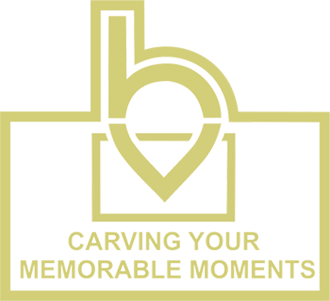 You have to visit Bukit Belong in Klungkung. The beauty of this tourist destination is not only from the green hill area but it also combined with nice blue sky panorama that so unfortunate to be missed. This sites is located at Gunaksa Street, Dawan Village, Klungkung Regency. Still from Klungkung Regency, if you visit this area you have to come to Tukad Unda. This place is a water Dam in the middle of a big river. It has 2 terrace levels on the right and left side of the Dam. It may a simple site but it is an instagramable sites in Bali. You may take picture as many picture as you want for free. But avoid come to this site during the rainy seasons. It is because the strong current of the river is very dangerous during the rainy seasons. So, which one is the most interesting sites in your mind? Of course all the sites above are very wonderful and instagramable sites in Bali. Do not forget to prepare your camera and memory space before visit Bali because we have a lot of nice sites and attractions that is very interesting to explore during your Bali Vacation.